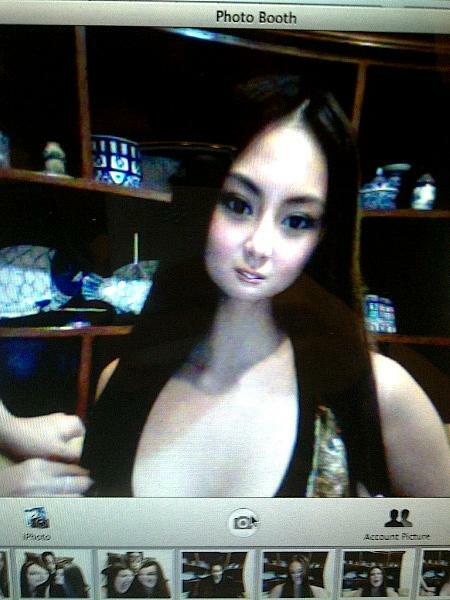 See how Sam Pinto makes fun of herself using this face distorting software. She looks like a 3D character in this picture. Cool. She quotes ' You think I'm Pretty?' - We answer, with that kind of face? We'll take you home anytime. As long as we have the software to un-distort you back, hehe. The next picture shows Sam Pinto on her first time flying chopper - real chopper that is.